Pay attention && look around you. That’s really it. True story. We’ve been made in New York City for two seasons now. 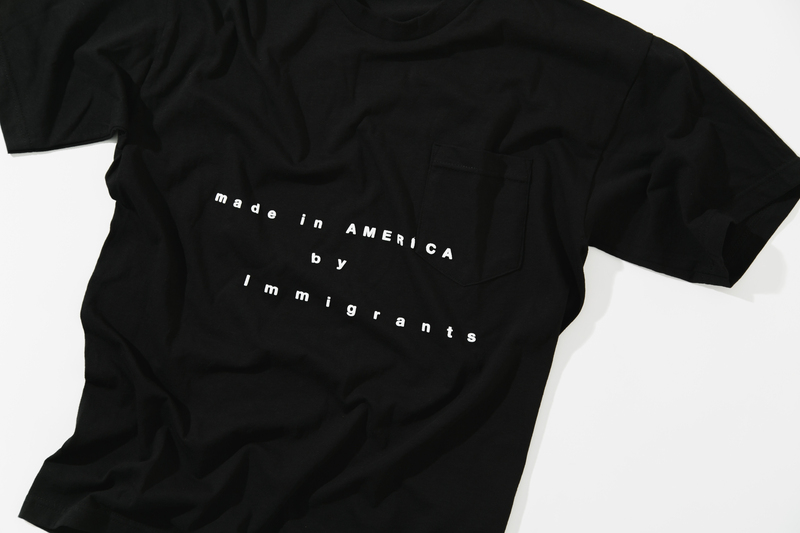 While developing our 2018 Autumn | Winter cut && sew collection, our pattern maker pointed out that a majority of manufacturers && producers in New York City are made up of Immigrant workers. You look around and you realize that this is true across all disciplines. As proud as we are of being made in this country, we’re even more proud that those that actually hustle to make our products immigrated here hoping for a better situation. 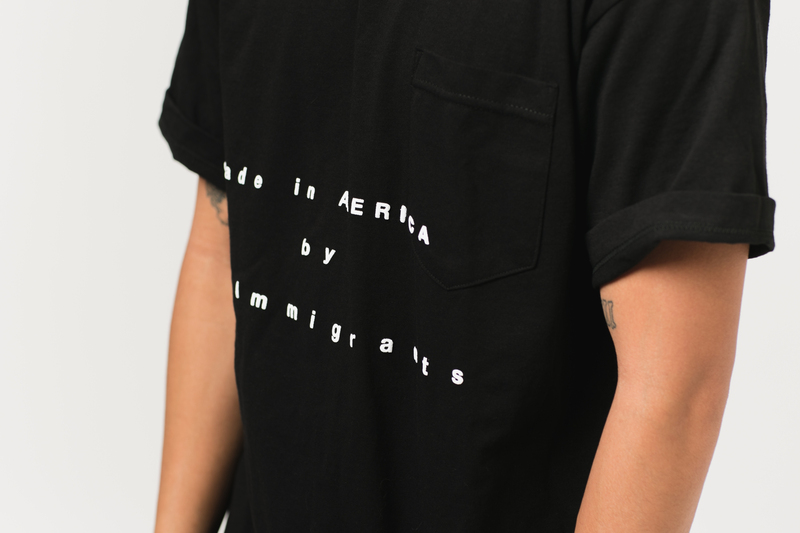 Features our ‘Made in America by Immigrants’ design printed with high density heat on a crewneck pocket tee. 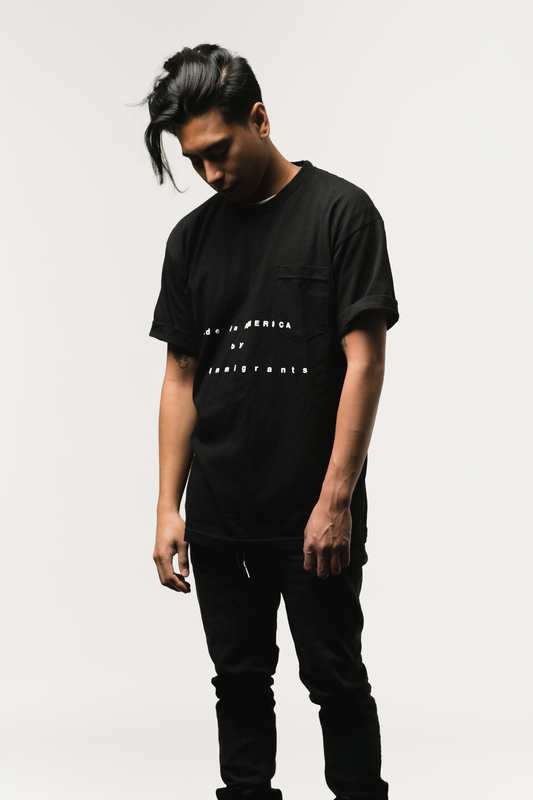 Printed in Brooklyn, New York. 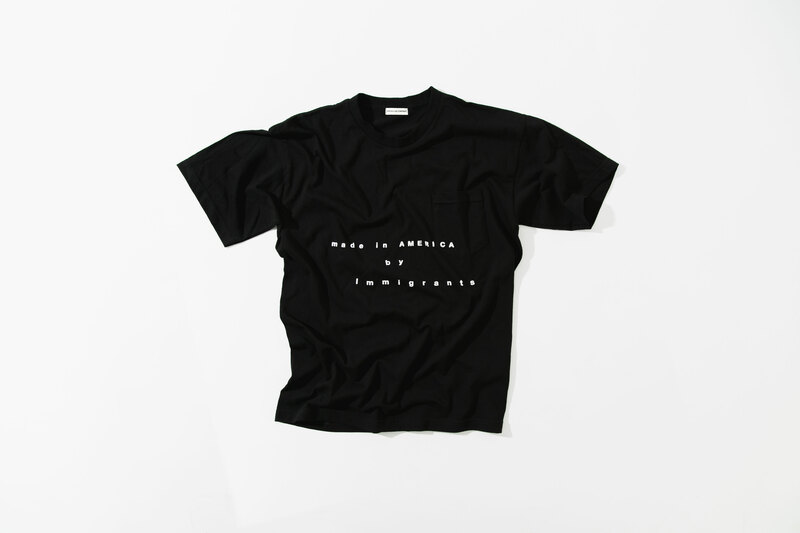 100% cotton && Made in USA.